A lot of activity is now going on at the Heritage Motor Centre (HMC) as the building of the new Museum Collections Centre alongside is now progressing fast towards completion. The planned opening is around November time and the "Car Stories" project will form the inaugural exhibition. Full details of the project will not be disclosed until the opening, but as the name implies it will relate to stories, told by both the young and old about all aspects of cars and the British motor industry. The exhibition will explore the human stories relating to cars and discover how they have and continue to shape our life and experiences. These stories will be told not only orally, but in many other imaginative ways. The gathering and recording of all these stories by the Oral History Team has been going on for over two years now and further background information on its work can be found in an earlier blog here. 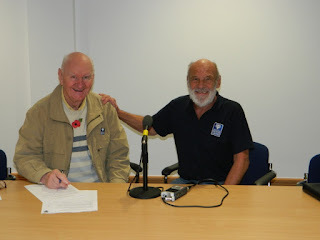 Mentioned and illustrated in that blog was an interview with volunteer Chris Bramley who worked at Rover's gas-turbine division in the 1960's. This brief one minute audio clip describing the Rover BRM's start at the 1965 Le Mans race is an amusing taster. Click the clip below to listen. Whilst the volunteers themselves have been the subject of many interesting and sometimes humorous interviews, members of the general public with a car story to tell have been actively sought and interviewed. 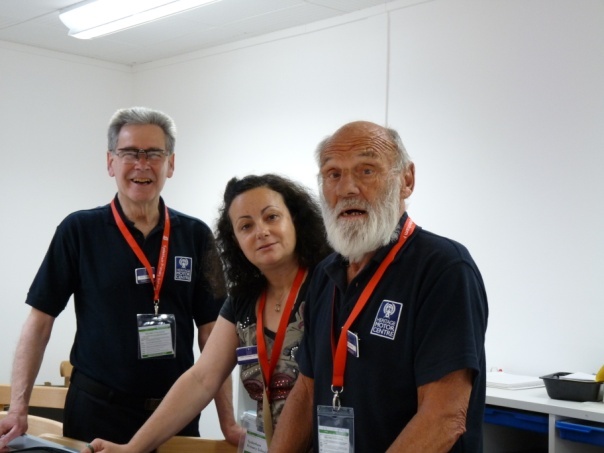 At many HMC events, such as Club Expo, the Community Open Day, the Classic Vintage Show and Museums at Night, the Oral History Team has been out and about with microphone and recorder in hand. 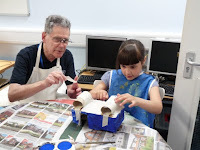 Volunteers Brian and John, together with Lara at Sydenham & Lighthorne Heath Primary School where they collected many stories from eager children as well as designing cars with Brian's help. The team has also been out and about visiting people unable to get to Gaydon, but anxious to tell us their story. One such location has been the British Legion Star and Garter residential home where with so many interesting stories discovered, another visit is planned. In addition to those with a historical story to tell, "Car Stories" is also very much about the young and how they see cars and their future. As you can imagine some of their stories are highly amusing, with accounts of how their parents take them on some bizarre travel experiences.